Tokyo Ghoul has easily been one my favorite series this anime season, but this episode has me feeling a bit disappointed. But firstly, let’s summarize it for you guys. 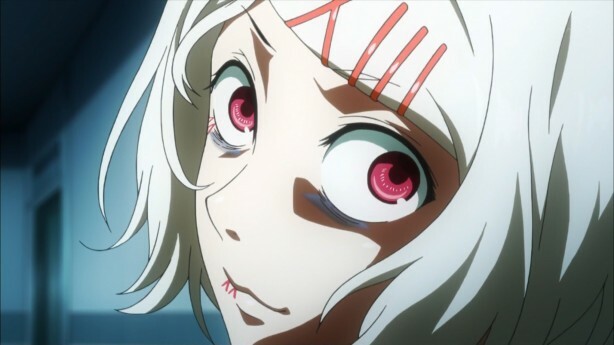 Juzo Suzuya is a dove, helping the CCG in their efforts to kill ghouls (Remember that weird, white haired boy from episode 9? Yeah, that’s him) He’s got Kaneki’s name and face, so that surely can’t be good. 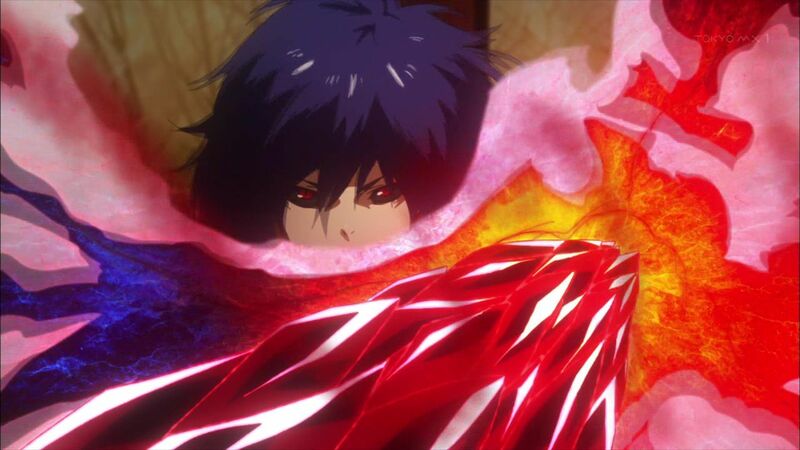 Ayato Kirishima, Touka’s brother, is a part of a ghoul organization called Aoigiri Tree. They’re basically just a group of angry ghouls out to kill all the doves, and they want Rize, too. Yamori appears to also be a part of Aogiri Tree, but he originates from the 13th Ward, giving himself the nickname Jason because of the hockey mask he wears. (Get it? Friday the 13th? 13th Ward? Forget it…) Yamori also wants Rize–and the reason, is still unknown. So basically, this organization is looking for Rize, for whatever reason, and the only clue they have is Kaneki. He smells like her, and also admits to have known her. For what reason did he not tell them Rize was dead? Could that have helped him any? Something tells me no. Animation-wise, this episode was completely rushed and looked very awkward and sloppy. Especially the whole scene at Anteiku, where fighting ensues. Everyone looked stiff and weird, and Ayato’s hair and face completely shifts and really made him look awkward, as well. Compared to the first episode, where we see gorgeous CGI animation in the backgrounds and everything was animated beautifully, this episode was pretty much a huge disappointment, animation-wise. Plot-wise, everything seems to be coming together into the climax of the story. Aogiri Tree has kidnapped Kaneki, leaving Touka and the others to worry about him and plot to save him from Yamori. However, the Manager tells everyone that they must lay down their lives to save their friend, because it would be unlikely that they would come out of this alive. That being said, I would like to touch down on the amazing character development with Nishiki. He started out wanting to kill Kaneki, but now, eight episodes later, he’s willing to die to save Kaneki. That, my friends, is some excellent character development. What I’m wanting to know if what will happen to Kaneki now that he’s in the hands of Aogiri Tree. What will become of him? Will his friends be able to infiltrate and save him? With this series, it’s hard telling what will happen.